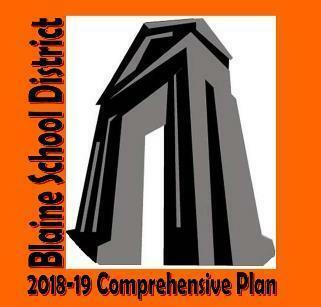 At their November 26 meeting, the Blaine School District Board of Directors adopted the 2018-19 Comprehensive Plan which outlines goals for program improvement at both the district and school levels. This Plan addresses specific ongoing academic goals and related action plans, as well as the issues of Community Engagement and Relationship Building, Social-Emotional Learning and Student Safety, Enhancement of Student Graduation Rates and 24-Credit Transition Planning, and Capital Projects/School Construction Planning and Support. The staff of the Blaine School District continues to strive for maximum efficiency in this work, while committing to making those decisions that best assure for higher levels of overall student performance.